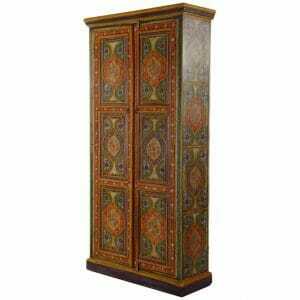 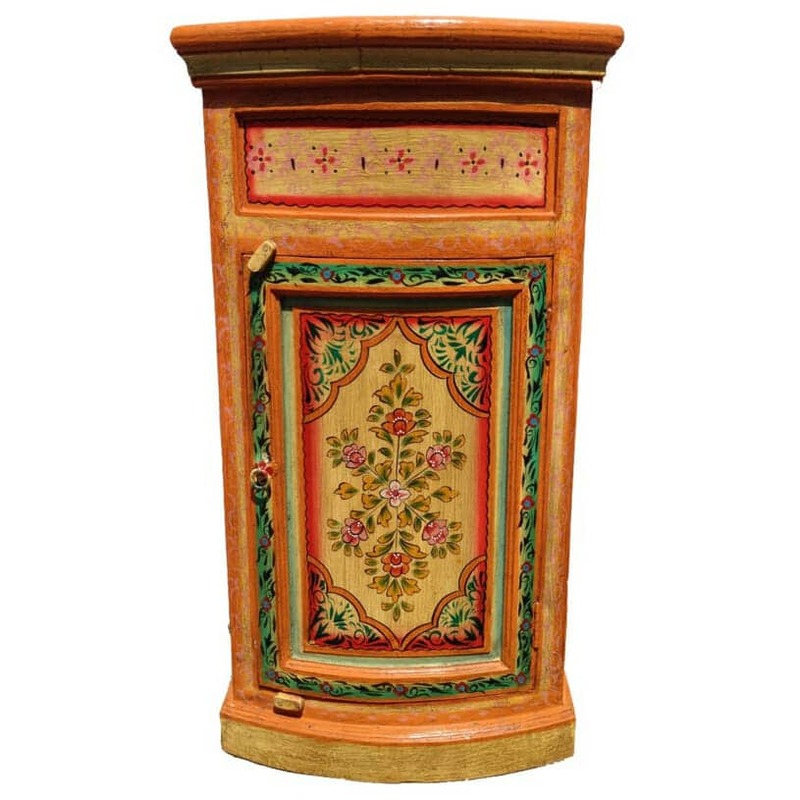 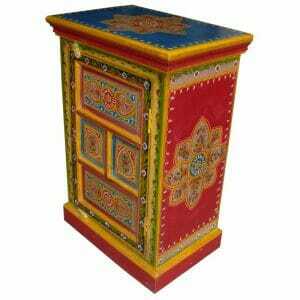 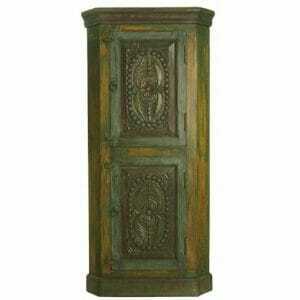 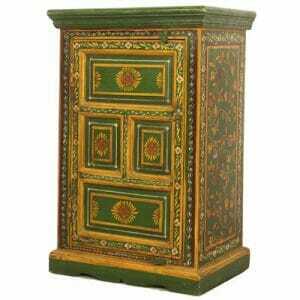 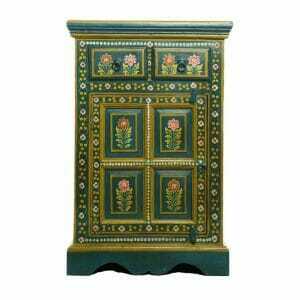 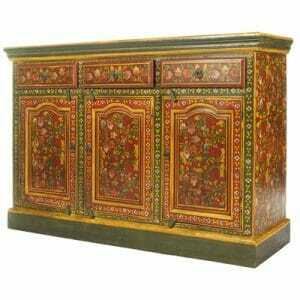 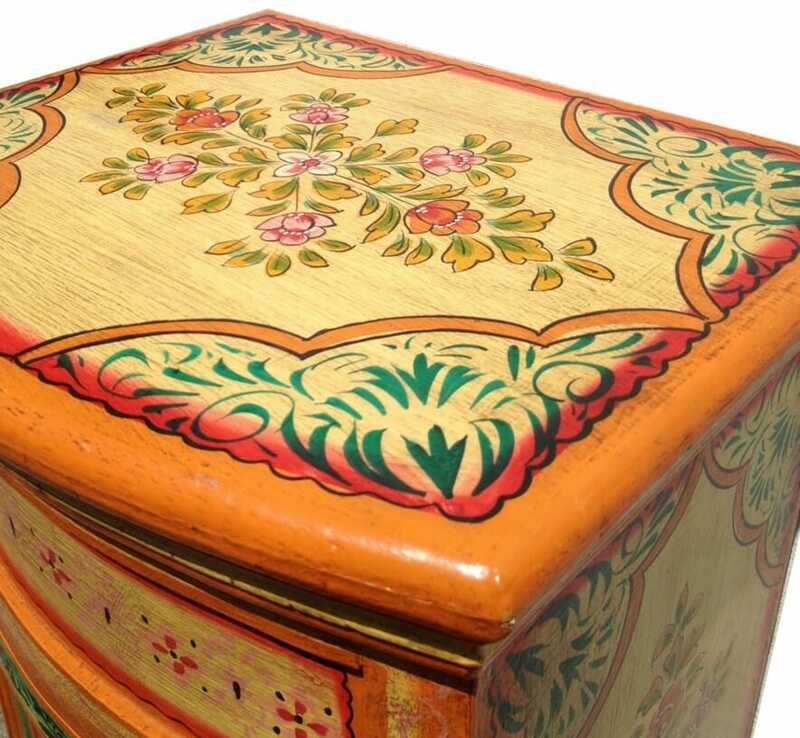 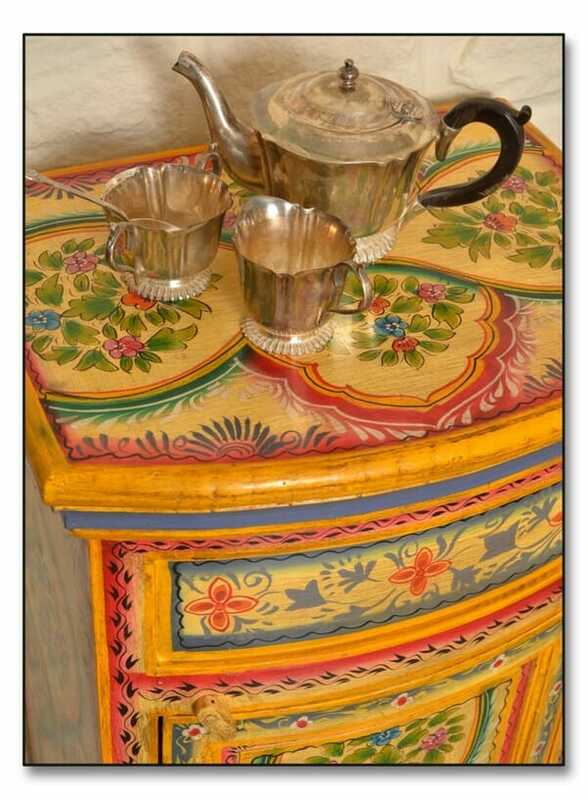 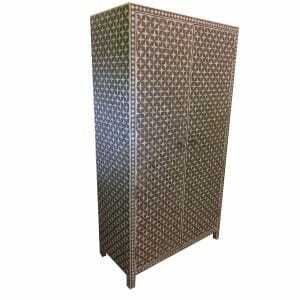 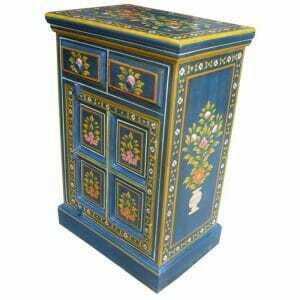 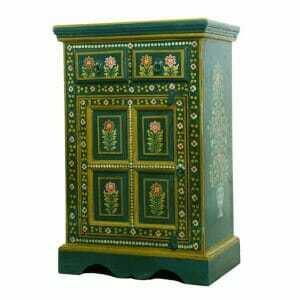 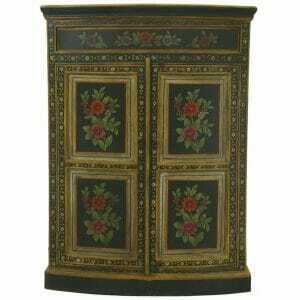 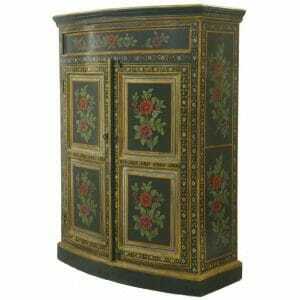 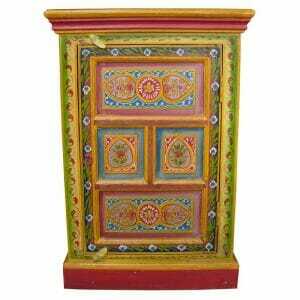 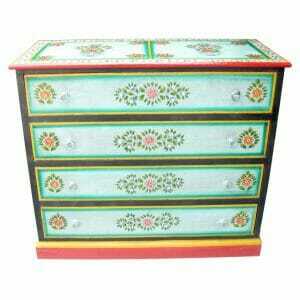 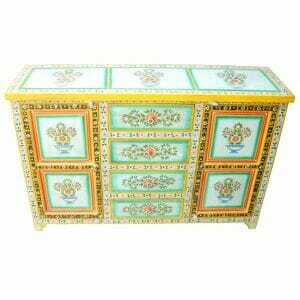 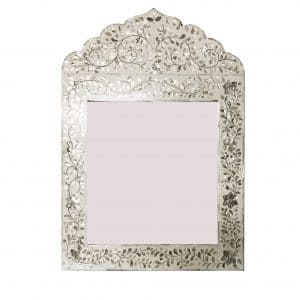 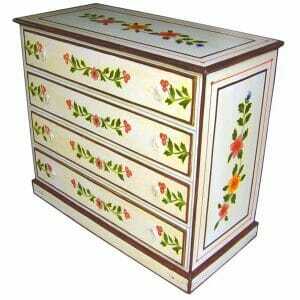 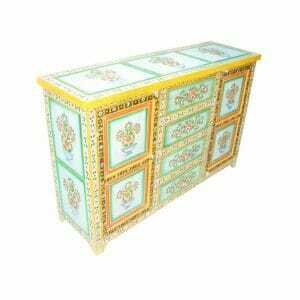 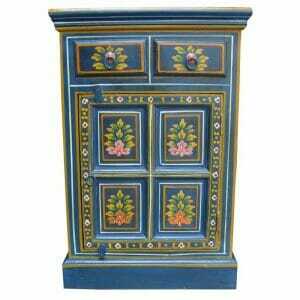 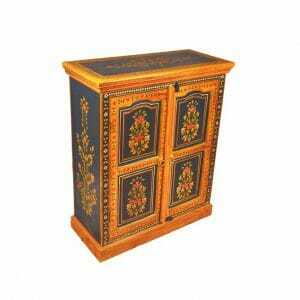 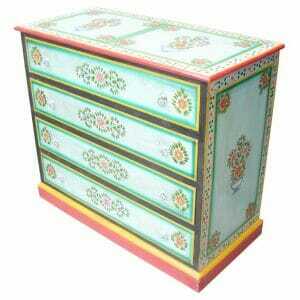 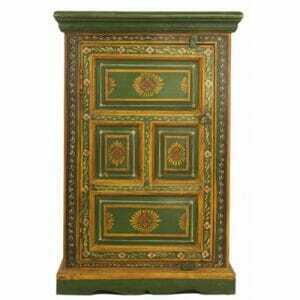 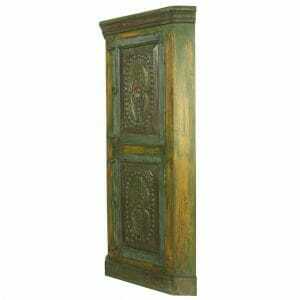 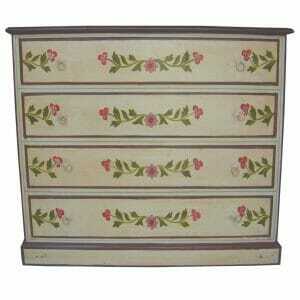 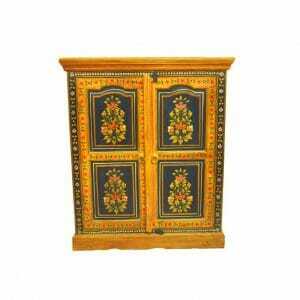 Our beautiful painted flowers medium cupboard offers a chance to own an exquisite piece of Indian artistry. 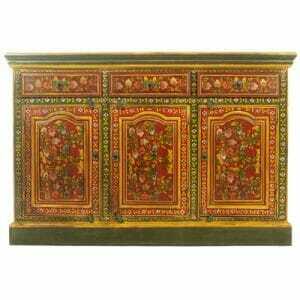 Hand-painted floral motifs decorate the lacquered wood in bright colours reminiscent of the hot Indian days. 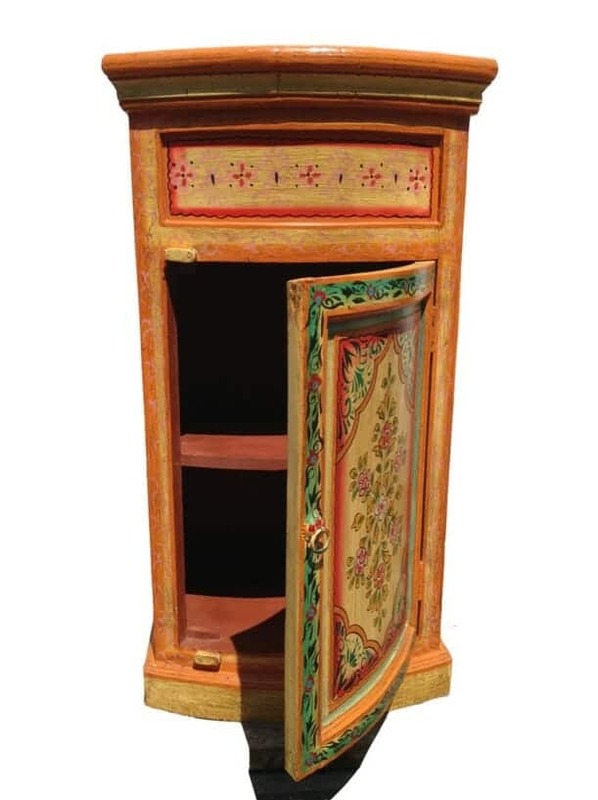 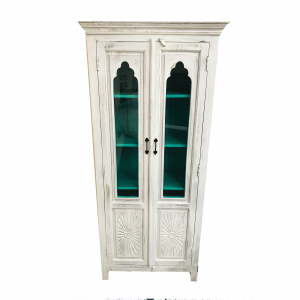 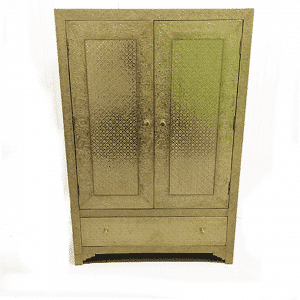 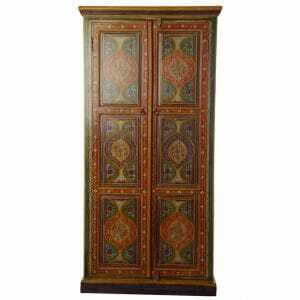 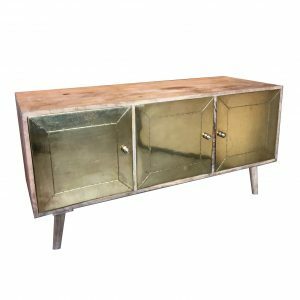 This Indian cupboard offers the best of authentic woodworking, and features one cupboard door and an inner shelf, perfect for stowing away a number of items and for serving as a bedside, living room or dining room side table. Each piece is both carved and painted by hand by our talented artisans in Rajasthan who follow the same techniques as Indian woodcarvers did hundreds of years ago, making it both beautiful and a genuine piece of traditional Indian woodcraft. The vibrant reds, yellows, oranges and blues used to create the floral designs on this Indian cupboard are sure to delight. 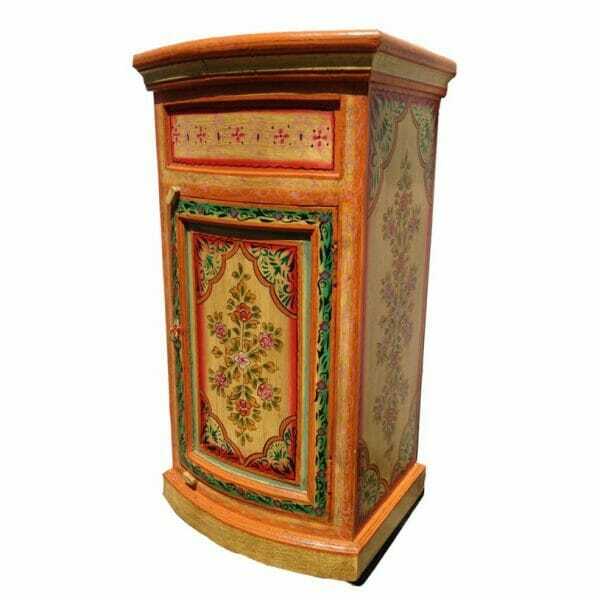 However, if you would like this item in your own blend of colours, or require this item in specific dimensions, do let us know. 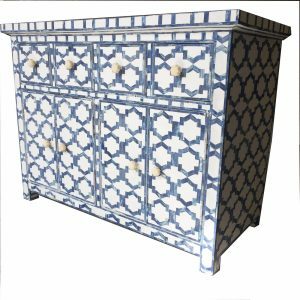 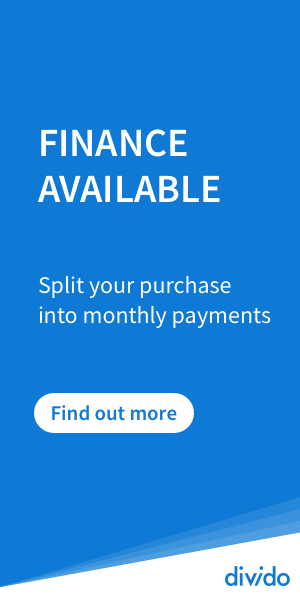 We place bespoke orders for our customers on a regular basis, and are always happy to ensure that they get the exact piece that they want. 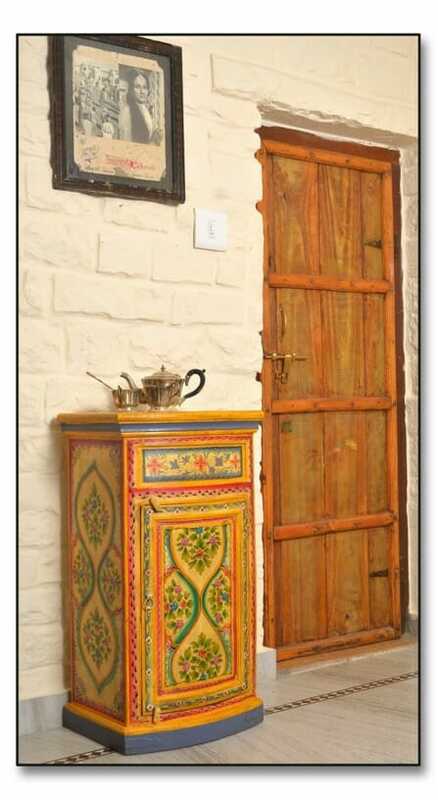 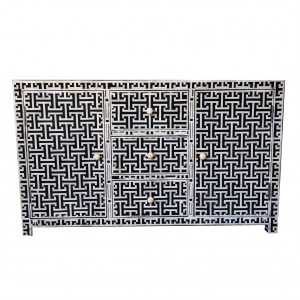 All of the wood used to craft this exquisite item and all of the other furniture sold by Iris Furnishing is sustainably farmed Indian mango or sheesham wood. 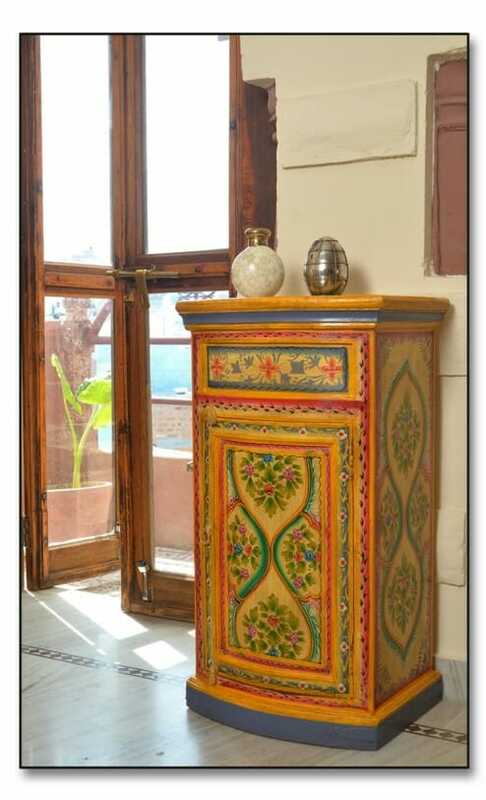 This is part of Iris Furnishing’s commitment to environmental sustainability and fair trade, policies that Iris Furnishing personally ensures through regular visits to the craftsman and suppliers in the Rajasthan region throughout the year.